One time we had a dream that we were on a date with The Invisible Man. You might think it ended with us running for our lives, but he was actually a really nice guy. Maybe. We couldn’t tell if he was there or not. 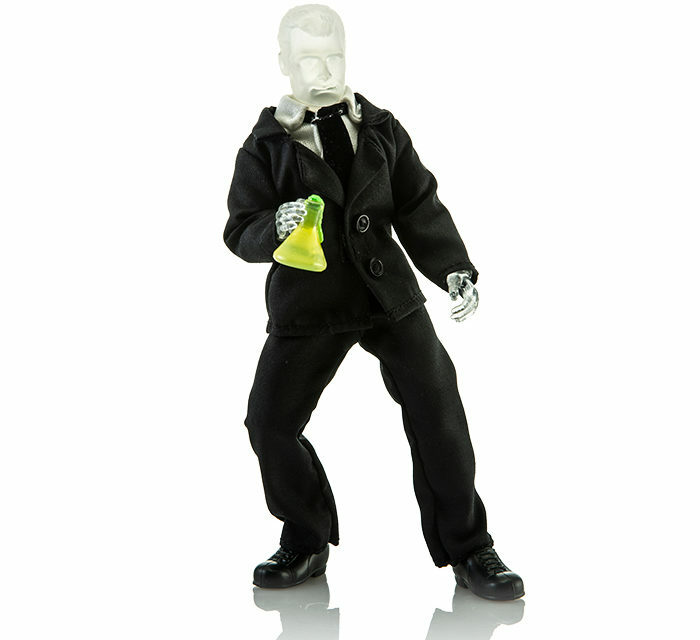 Thankfully, this Invisible Man Mego action figure is easy to find in his dapper suit. But what else would you expect from a well-known scientist like Dr. Griffin? In addition to being extremely intelligent, he’s got a developed fashion sense. And speaking of intelligence, what would you do if you were able to change your body’s refractive index so that it didn’t reflect light? We’d probably visit a few banks… for sightseeing purposes, of course.